Along with many other educators, I’ve contributed My Top Ten Tools to Jane Hart’s online “Tools Directory.” I thought that I would adapt that idea and create a “The Best…” list highlighting the tools — tech and non-tech — that I use most regularly and most effectively with my students. I’ve labeled it for 2009 because I assume that, as my classes change and as new web applicatons develop, this list will change, too. 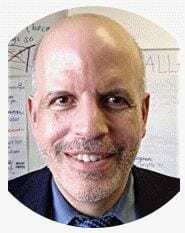 This year I teach United States History to Intermediate English Language Learners; ninth grade English to native-English speakers and advanced ELL’s; and Intermediate English. So this year’s list will reflect that subject matter. Next year I’ll be teaching an International Baccalaureate (IB) course called “Theory of Knowledge”; ninth grade English to native-English speakers and advanced ELL’s; and Intermediate English — that will be an interesting combinatino. My students and I are very lucky that we use some great curriculum resources at our school. Most ninth and tenth grade English classes use a theme-based curriculum created by Kelly Young at Pebble Creek Labs. In our ninth-grade classes we high-interest units on Natural Disasters, New Orleans, Latino Studies, Nelson Mandela, Jamaica, and Mt. Everest to help students develop their reading and writing strategies. I can’t say enough about how student-centered, engaging, and successful it is. It’s also a joy to teach, and provides a lot of room for teacher creativity. I believe the best writing curriculum out there for English Language Learners is, by far, the one offered by the WRITE Institute. It’s focused on ELL’s, but we’ve certainly used their materials successfully with mainstream students as well. Their curriculum is only available to schools in Districts that have an official “partnership” with them. Their lessons range from Beginner to Advanced ELL’s. America’s Story by Vivian Bernstein is an excellent text covering U.S. History. I can’t believe there’s another one that’s more engaging and accessible to English Language Learners. We use it to supplement the standard U.S. History textbook. Another important non-Web resource is Netflix. I frequently use short clips from videos in both my U.S. History and Intermediate English classes, and, for cost and convenience, Netflix is the way to go for DVD rentals. You can read more at The Best Popular Movies/TV Shows For ESL/EFL list about how I find the best videos, and what I do with them in the classroom. 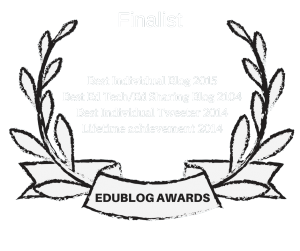 Edublogs is an indispensable tool. I frequently have students in my Intermediate English class access specific “The Best…” lists located on this blog. One of my United State History classes uses our U.S. History class blog (which, by the way, consists of an entire U.S. History curriculum and is available for public use) everyday, and the other uses it every other week. Readers might remember that I’m doing an interesting experiment this year with my two U.S. History classes. My enthusiasm for Edublogs is no secret — it’s allowed through school content filters, is very easy to use, allows easy uploading of documents, and has great customer service. I also use Edublogs TV quite a bit. It’s super-easy to upload educational videos from YouTube onto the site which, in turn, allows students to view them at our school. Even though I am a big supporter of Edublogs, for my English Language Learner students, at least, I have found Posterous to be even a bit more accessible. You’ll see on the U.S. History blog sidebar that each student has a link to their Posterous blog. They post a lot of their assignments there. One of the great things about Posterous is that students can just copy and paste images off the Web directly onto their blog without having to type in the photo’s url address. Of course, my students only use that blog to post their work — not use the comments section for discussion. If they were going to do that, as they do in our international sister classes Student Showcase, then Edublogs would be the way to go. Tizmos is an easy way for users to save thumbnail images (and links) of their favorite websites on one page. Twice a week I bring my Intermediate English class to the computer lab, and it’s an easy way for each student to identify their favorites from among the 9,000 links on my website. In addition, I can place a link to each student’s Tizmos page on my website so that the whole class can see each other’s choices. Many students in our school who are writing their “Senior Projects” (a graduation requirement) are using Tizmos to store webpages they are using for their research. As I’ve already mentioned, my website has 9,000 links accessible to English Language Learners. You can learn more about it at The Best Sections On My Website list. In addition, I have a page on it specifically to support the curriculum in our ninth-grade mainstream English class. I can’t say enough about the U.S.A Learns site. It’s an incredible website to help users learn English. Even though it’s primarily designed for older learners, it seems very accessible to all but the very youngest ELL’s. It’s free to use. Students can register if they want to save their work and evaluate their progress. Another site my students, particularly ones that are lower-Intermediate level ELL’s, use is Henny Jellema’s Online TPR Exercises. You’ve got to see this site to believe it. I can’t imagine the amount of work that went into creating the exercises.